Here is Sarah's card which I've chosen to Case. 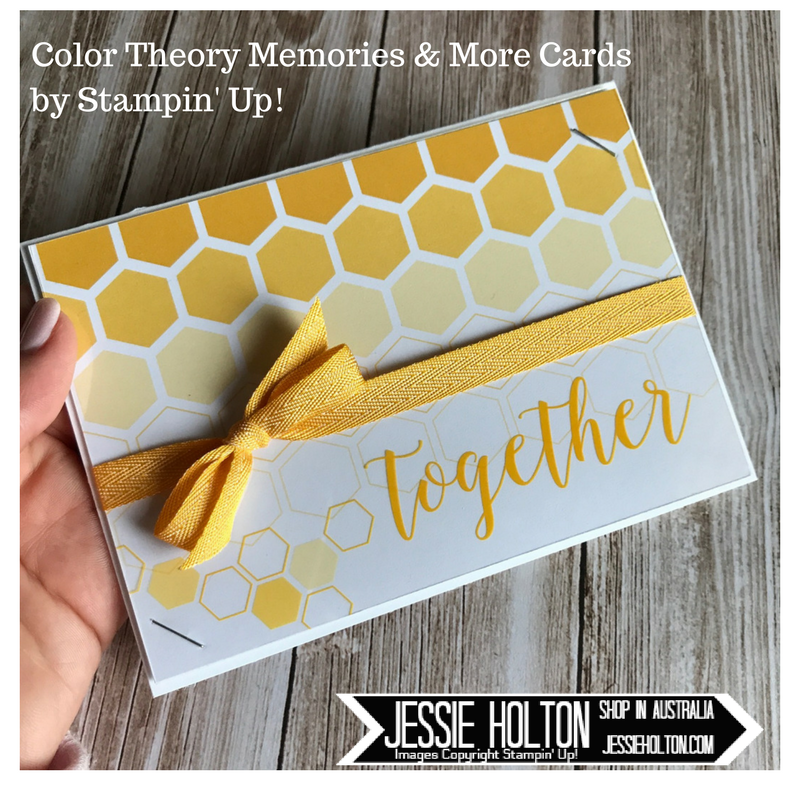 I love how simple the Memories & More cards can make card making & so I have chosen to use the Color Theory M&M pack to make my cards today. The standard C6 card size in Australia means you need to trim a smidge off these cards to use them as card fronts. I like to trim mine to 14.5 x 10.1 cm so there is a couple of millimeters around the edge. I have used Thick Whisper White cardstock card bases today. The sentiment I have used is from the Just Add Text stamp set, stamped with White Craft Ink on Basic Black cardstock & cut out with the largest Stitched Shapes oval die. I have added a length of Berry Burst Finely Woven Ribbon, some Linen Thread & a few sequins from the Metallic Sequin Assortment. 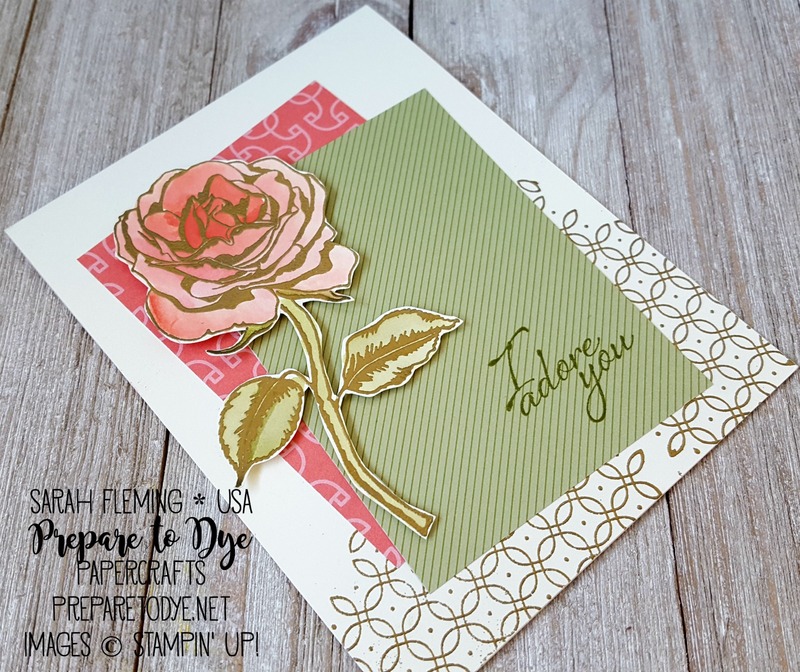 This simple layout made it quick & easy to put these stylish cards together. This is my go-to card layout! 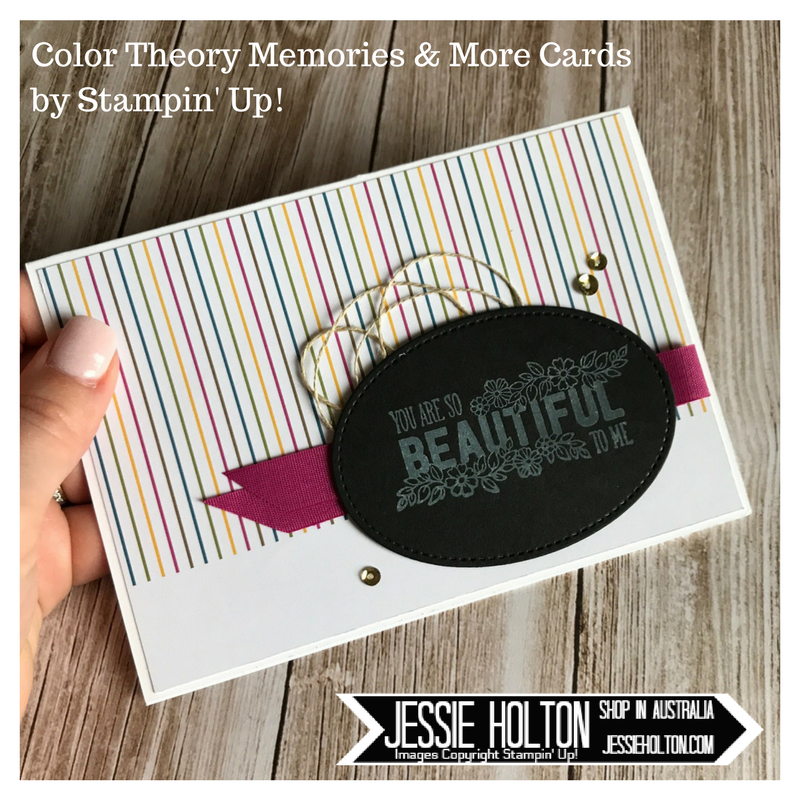 Here is the card we made at OnStage in April using the new Memories & More cards. This one has the Berry Burst Flower fussy cut from one of the cards & added to the card front with two more cards & a length of the Crushed Curry Mini Chevron Ribbon. We have also used the Colorful Seasons stamp set to stamp the little flowers in the background in Dapper Denim. And lastly, a nice bright yellow one features one of the clear acetate cards with the small hexagons & the sentiment on it, over a card with the larger hexagons & a bow tied with the Mini Chevron Ribbon - all in Crushed Curry. I think this would make a lovely anniversary card. I have stapled the cards together so no glue marks showed on the acetate & then used Dimensionals to adhere it to the card base.